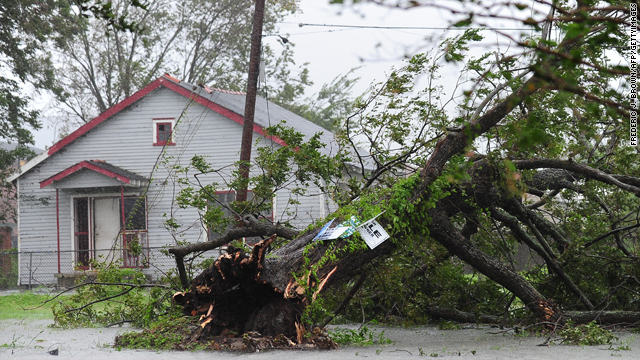 An uprooted and fallen tree is pictured today in New Orleans. Should politics be put on hold for Isaac? It's a quandary. On the one hand, there is what's now Tropical Storm Isaac slowing laying waste to parts of the Gulf Coast. Granted it's not Katrina take two, but there are hundreds of thousands of people without power, one 18-mile stretch of levee in Louisiana has been overtopped, and many people are losing their homes to the flood waters triggered by heavy rains and a massive storm surge. On the other hand, Washington and the federal government are laying waste to the entire country - and we are fast approaching an election where some far-reaching decisions will have to be made by the voters. 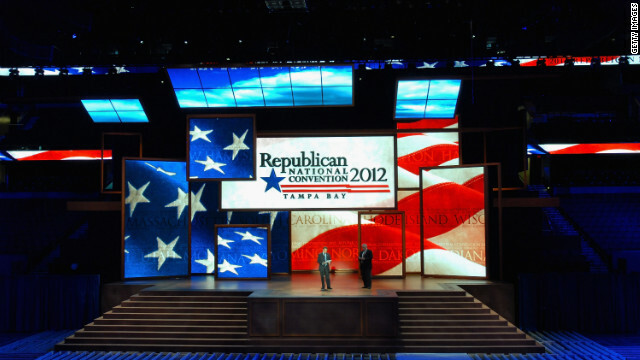 The Republican convention is in full swing in Tampa, having been spared the brunt of Isaac. And President Obama is hot on the campaign trail trying to convince the country he deserves a second term. The Republicans shortened their convention by a day out of concern for the storm. And next week - when the cleanup will be in full swing - the Democrats will convene their dog and pony show in Charlotte, North Carolina. The political business of the country is moving forward in spite of a rather large natural disaster impacting millions of our citizens. The temptation perhaps is to jump to the conclusion that the politicians are being insensitive. Perhaps all campaigning should cease out of consideration of the hurricane victims. But the fact is Isaac ain't Katrina - not by a long shot. And the problems of the country probably deserve our undivided attention, Isaac or not. We're in big trouble here. 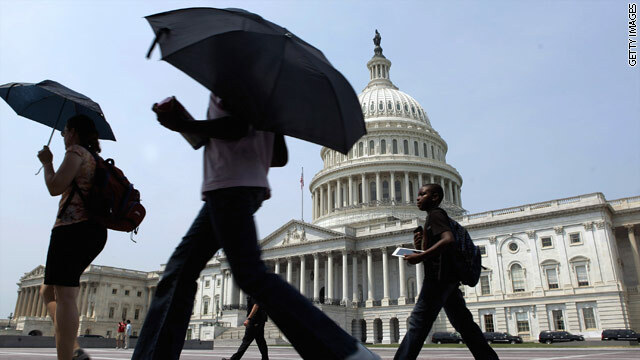 Here’s my question to you: Should politics be put on hold for Isaac? As the election gets closer, are you more or less confident in the U.S. economy? With less than three months to go before Election Day, Americans are becoming less confident in the economy. Not good news for President Obama. According to Gallup's economic confidence index, July was the second monthly decline in a row. This after economic confidence improved during the first five months of the year. 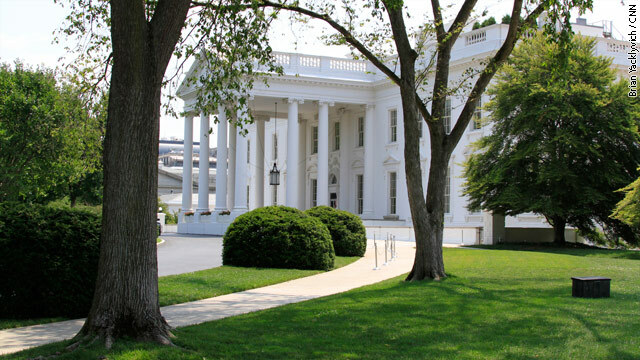 This index measures the current economic conditions and the country's economic outlook. Americans were more pessimistic about both of these things during July. A whopping 59% say the economy is getting worse. That's the lowest rating of 2012. Americans' declining economic confidence is likely due to several factors including weak jobs reports, lower-than-expected GDP growth and Europe's ongoing economic problems. Meanwhile, a new report suggests the shaky economy is hitting baby boomers especially hard. An AARP survey shows high economic anxiety – extending far beyond the issue of jobs – for pre-retirement voters aged 50 to 64. – Only one-third of these boomers are hopeful or confident they will reach their financial goals. – Almost three-quarters think they'll have to put off retirement. – Half don't think they will ever be able to retire. Many baby boomers are left with smaller pensions than they expected, more expensive health care... and the stress – and cost – of caring for older relatives. The AARP also recently reported that more than 3 million Americans over the age of 50 are at risk of losing their homes to foreclosure due to the housing crisis. Here's my question to you: As the election gets closer, are you more or less confident in the U.S. economy? 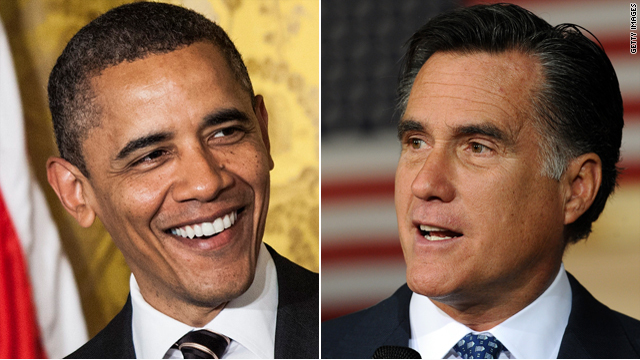 Who's the worst person Mitt Romney could pick to be his running mate? It's possible that Mitt Romney could do worse than Sarah Palin. In a piece on the Daily Beast, Michelle Cottle writes that picking a "dull white guy" for vice president could damage Romney big-time. It's why folks such as New Jersey Gov. Chris Christie, U.S. Sen. Marco Rubio of Florida and South Carolina Gov. Nikki Haley seem to have lost favor in the veepstakes while others, such as U.S. Sen. Rob Portman of Ohio and former Gov. Tim Pawlenty of Minnesota seem more likely to get the nod. But as time ticks down on Romney's choice, some Republicans are getting nervous about what will happen if Romney goes with a safe pick - a buttoned-down, cautious, boring white guy … sort of like himself. Some conservatives are now calling on Romney to "go bold," urging him to pick U.S. Rep. Paul Ryan of Wisconsin, Rubio or Louisiana Gov. Bobby Jindal. By selecting a vanilla-flavored vice president, Romney risks confirming the worries of many in the Republican Party that he lacks enthusiasm and vision. Cottle writes that after all this time worrying about another Palin, a greater danger to the GOP might be a VP who is "so dull that no one even cares what he says to Katie Couric." 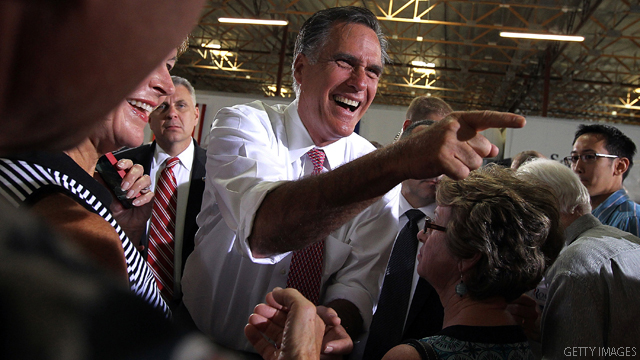 Here's my question to you: Who's the worst person Mitt Romney could pick to be his running mate? How much do the two major political parties really care about you? It's election time and politicians will do - or say - anything to get your vote. Starting with President Obama and Mitt Romney all the way down the line, lawmakers on both sides of the aisle want you to believe that they feel your pain. But it's an open question if any of them really do. Ron Paul was the rare candidate who actually connected with voters these past two election cycles. He attracted a ground swell of support from people who were looking for some real answers. But it was never enough to propel him to the next level. As for most of us, the two major political parties - Democrat and Republican - often seem interchangeable. And a new poll suggests that the vast majority of voters are staying loyal to the party they supported four years ago, with just a little switching sides. The Gallup Poll shows 9 percent of 2008 Obama voters have switched to supporting Romney this year, while 5 percent of McCain voters have switched to Pres. Obama. The groups most likely to either switch presidential preferences - or be undecided - include: Hispanics, Asians, independents, political moderates, Eastern residents, those with a high school education or less and unmarried men. Pollsters say that because loyalty to the president is slightly less than loyalty to the Republican candidate is the reason the race appears to be tighter now than in 2008. The deepening mystery is why after continually being disappointed by both parties so many people continue to support them. What is wrong with us? The list of problems the country is mired in suggests the two major parties are the problem, not the solution. Here's my question to you: How much do the two major political parties really care about you? Is it time to do away with national political conventions? As the Democrats and Republicans prepare to host their national conventions in the coming weeks, some wonder if it's even worth throwing these big pep rallies anymore. For starters, the Democrats are facing numerous problems when it comes to their convention in Charlotte, North Carolina. Some Democrats aren't even going to attend, saying they'd rather stay home and campaign instead. The Democrats are millions of dollars behind Republicans in fundraising for the convention - Since President Obama is refusing corporate donations. Pres. Obama carried North Carolina four years ago, but he has major problems there this year. Voters amended the state constitution to outlaw gay marriage. The unions are steamed because there are no unionized hotels in Charlotte. There is a sexual harassment scandal rocking the North Carolina Democratic Party, and the state has a very unpopular sitting Democratic governor. It's probably no coincidence that the Democrats have already shortened their convention by a day. But it's not just the Democrats. Some Republicans are also skipping their party's convention in Tampa. The fact is these political conventions are expensive, 4-day long parties - and they still get tens of millions of dollars in taxpayer funding. Not exactly a top priority for most of us taxpayers when you consider all the other places that money could go. Plus it's not like there's any surprise or drama when the candidates and their running mates are generally known long before the conventions. "Nobody would know the difference besides some bartenders and restaurateurs in the host city." Here’s my question to you: Is it time to do away with national political conventions?